Symmetry is renowned for our beautiful and flawless bridal and special occasion makeup. Our professional make up artists create an individualized look for each client. Our make up artist will accentuate your features, minimize your flaws and highlight a beautiful new palette. Whether your goal is glamour or natural, our team has the skills to design a complimentary look just for you! 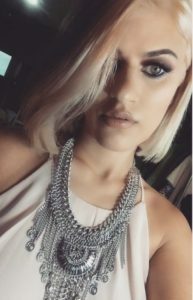 During our makeup applications and bridal trials, our makeup artists will have a consultation with you and thoroughly go through technique, color, and facial structure. We will accomplish any look that you envision. Coming in for trial appointments are very important so that you have an idea of what the actual finished look will be. It will also give you the opportunity to decide whether or not you would like any thing changed, so that your special day is as easygoing and stress free as possible.